Connacht Rugby are delighted to announce the nominees for the 2018/19 Connacht Rugby Awards. The awards take place at the Salthill Hotel on Saturday April 13th and will recognise the achievements of players, clubs, coaches and referees across a wide range of grades in the province. In all there are 17 awards to be presented on the night which are listed below alongside the nominees for each category. As always there are a number of awards where you get to have a say, and this year they are the Fan’s Player of the Year and the Try of the Season awards – both of which you can vote on in the coming days. We are also delighted to announce the recipients of two special awards. 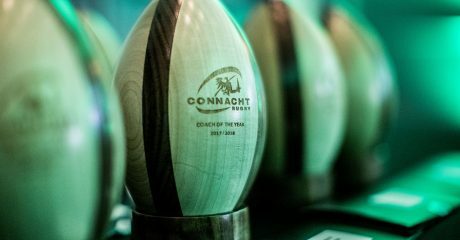 The Connacht Unsung Hero Award will be presented to Derek Niland, Mark Deegan and Jack Nohily for their sterling work at facilitating the inclusion rugby mornings at Corinthians RFC every Saturday morning. 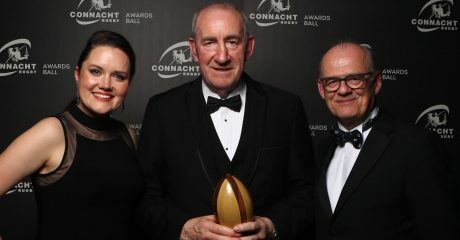 Meanwhile the Lifetime Contribution to Rugby Award will be presented to Dr. Anthony Browne for his contribution to rugby in Connacht stretching over 50 years as a player, coach and administrator. 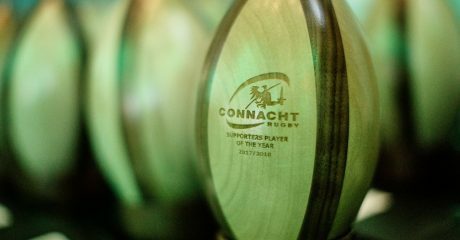 Please note the Connacht Rugby Awards is a SOLD OUT event. To those lucky enough to grab a ticket, we look forward to joining you on a night of celebration on Saturday week!